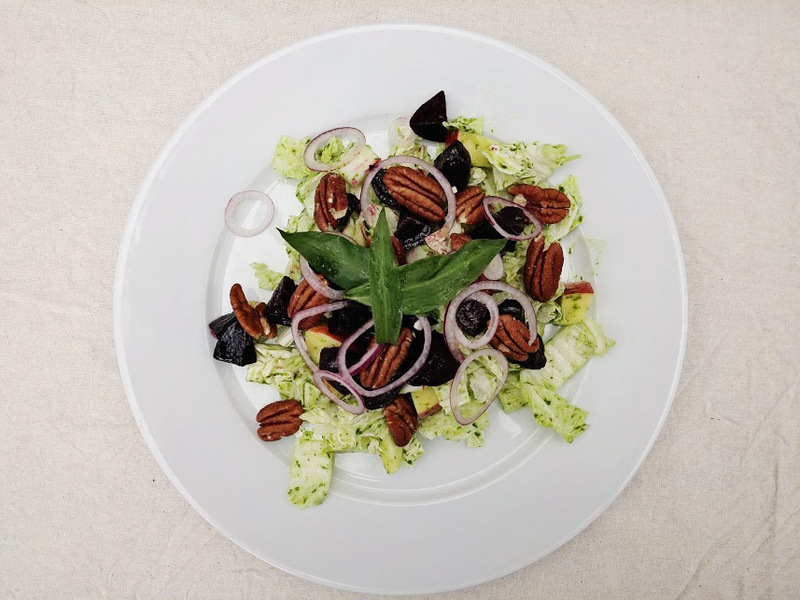 Our Uncannily Good Pecans are the star of this fresh and incredibly yummy salad from our guest blogger Andreas Hedberg. A perfect mix of crispy, raw apples, leafy Napa cabbage, gently sautéed beetroots and foraged ramson truly makes it a one-of-a-kind creation. Have it as a side salad with dinner or make it the main event - it's your call. Enjoy! Peel, dice and sautée the beetroots in some oil for 15-20 minutes until tender and have developed some surface browning. Blend vinegar, oil, mustard, salt and ramson with a hand blender. 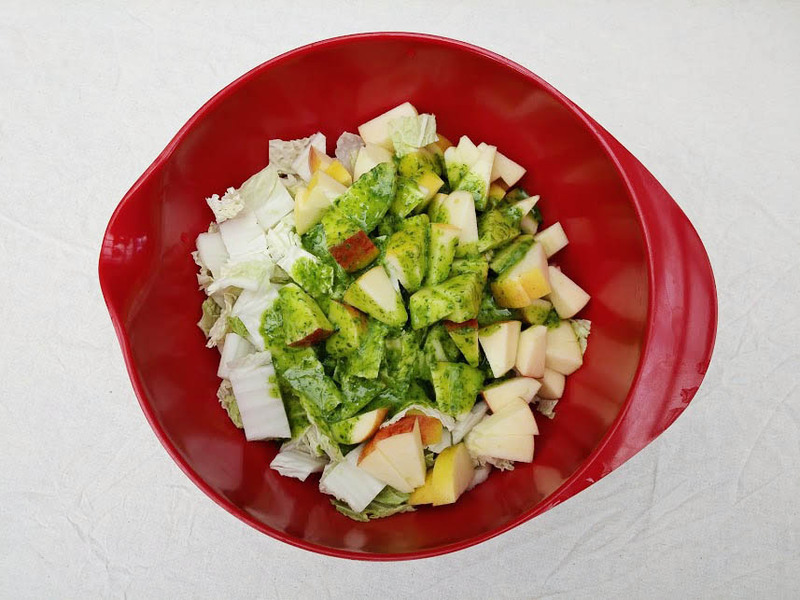 Chop cabbage and apples, mix with the dressing in a bowl. If served as a side sallad, just mix all in one bowl, or build on a plate for separate serving.